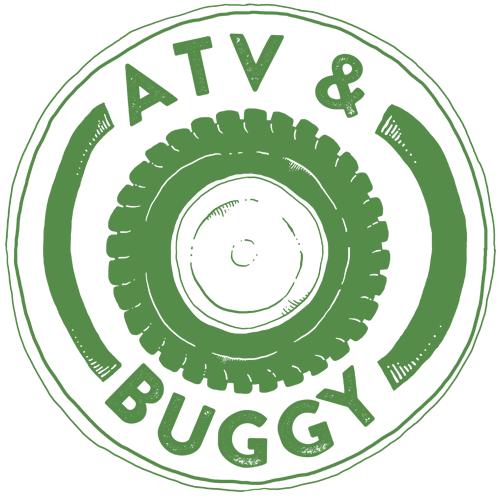 OUTDOOR attractions and activities for children and adults. 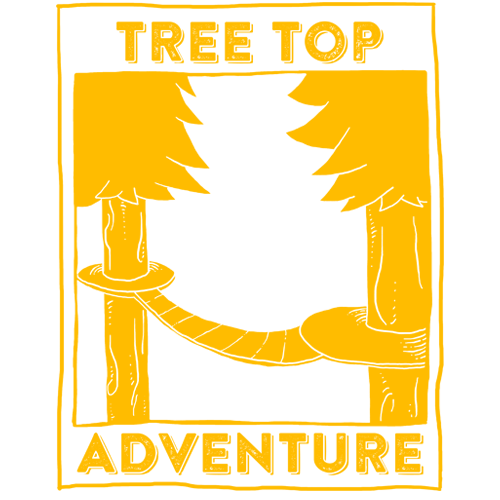 We have rides for all members of your family or group that each one will surely enjoy! 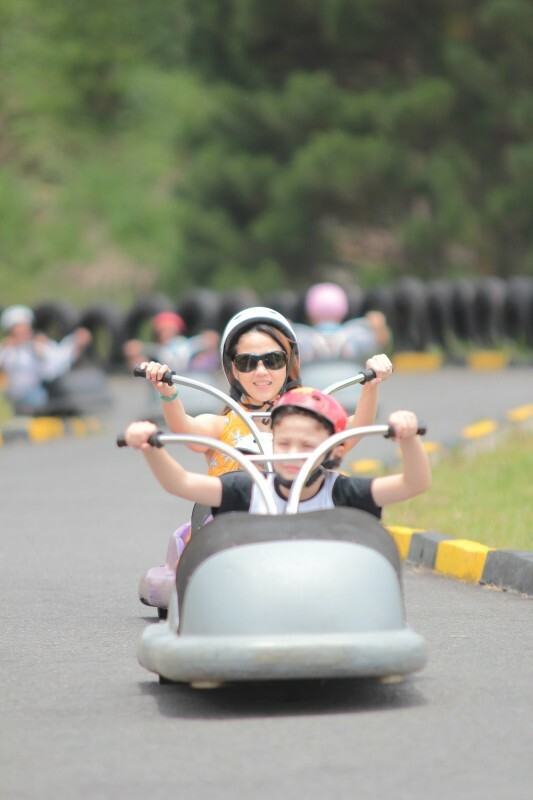 Founded in New Zealand, the Luge is a part go-cart, part toboggan ride that rolls down a track with thrilling twists n’ turns and mountain views amid the cool fresh air. 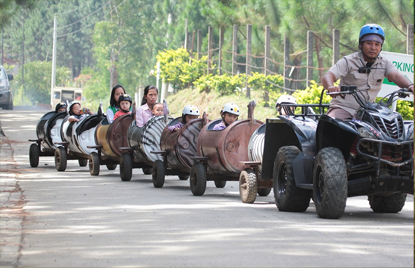 The Forest Park Luge is the ONLY Luge ride in the Philippines. It is a fun filled activity for all ages! 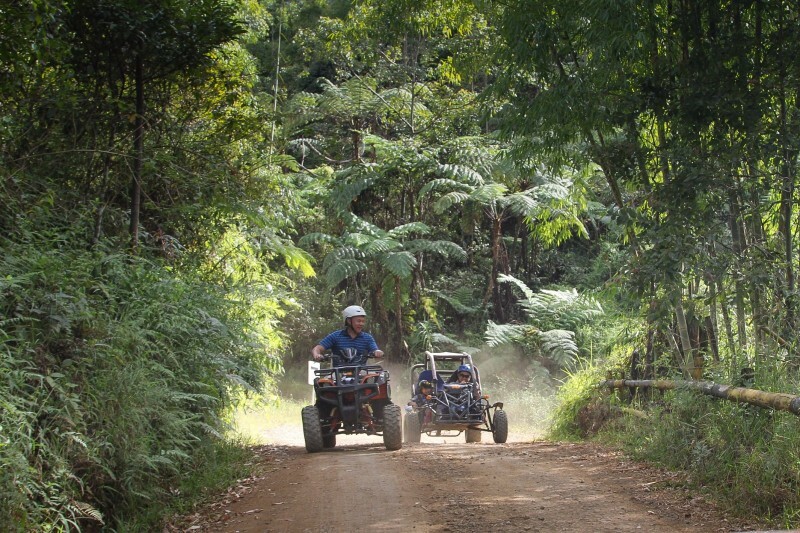 Get on an ATV(all-terrain vehicle) or Buggy (for two) as our guide takes you on an amazing ride along our 3.2 km forest trail of rough terrain, steep hills, scenic views and cool weather. 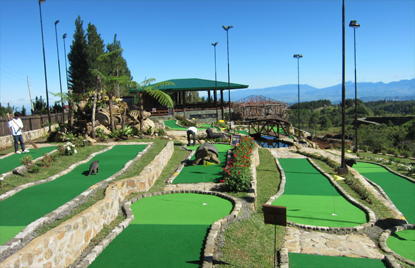 Enjoy our 18-hole putting course with lush lanscapes and life-size animals, suitable for both children and adults. 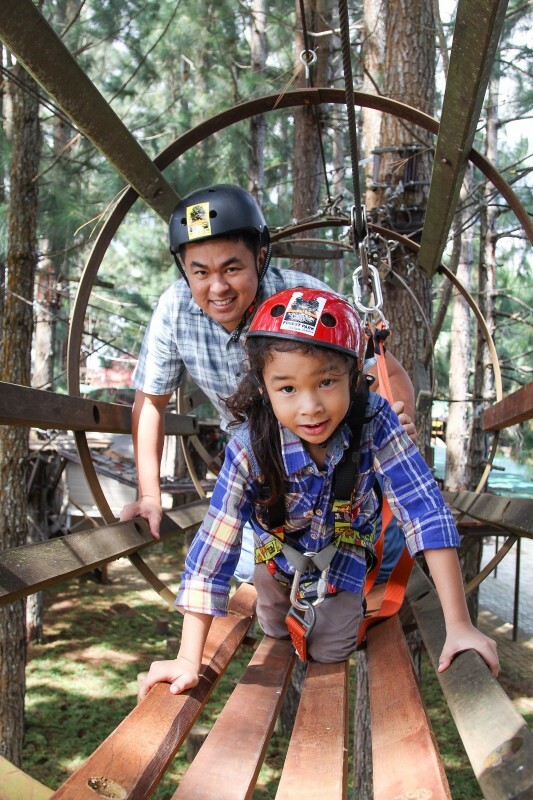 Our fun-filled obstacle course is located between pine trees approximately 8-11 feet in the air. 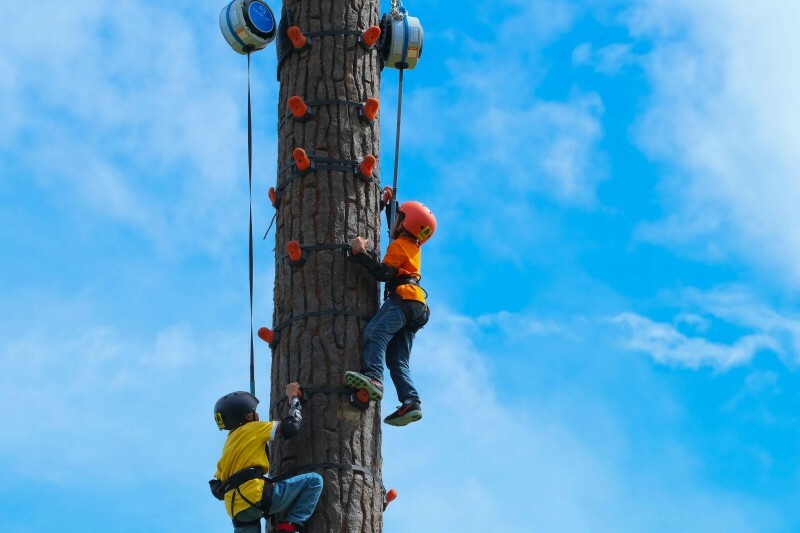 You will climb ladders, travel across floppy bridges, crawl in tunnels and even zip across on a wakeskate in this action-packed 21-station treetop adventure. AstroZorbit is a giant inflated ball where you and your partner are strapped inside and rolled down a hill for a one of a kind whirling experience. Age does not matter in this enjoyably adorable ride! 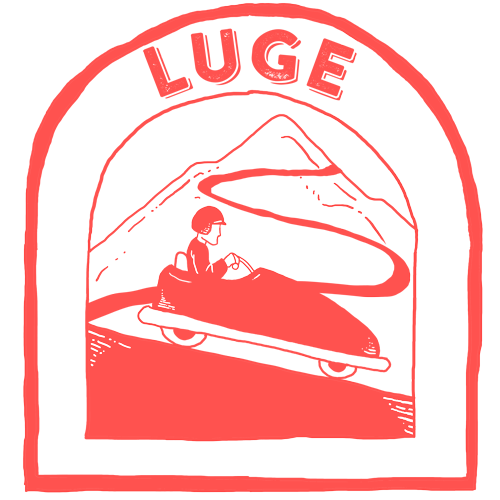 Towed behind an ATV is a train of animal inspired barrels. Each barrel can hold up to 1 adult and 1 child at a time. 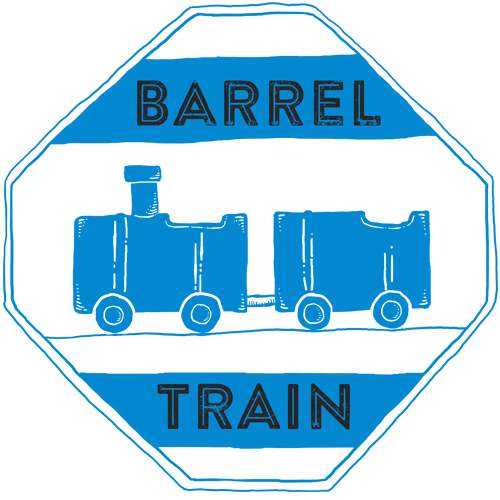 This 10-minute barrel train ride will take you on a leisurely fun tour around the park. 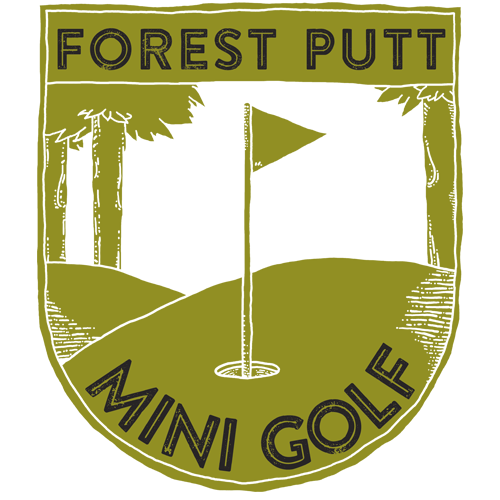 Perfectly safe for the little ones and equally as fun for the bigger ones! Enjoy bumping and spinning around on the boats in our large man-made mountain lagoon. Great for kids and adults! 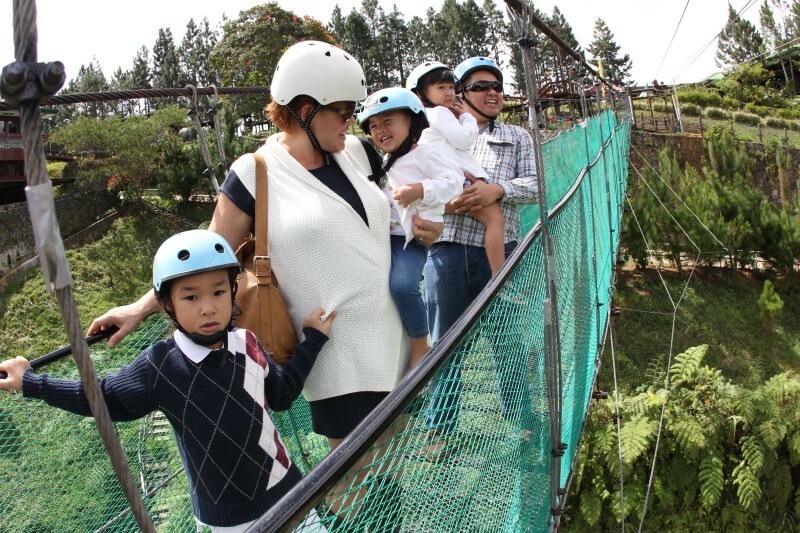 Experience our Hanging Bridge with scenic views of nature like never before! Hung 30-meters above ground, this cable bridge connects directly to the START of the LUGE. Suited up with a harness, the bridge is an 80-meter walk from one end to the other. 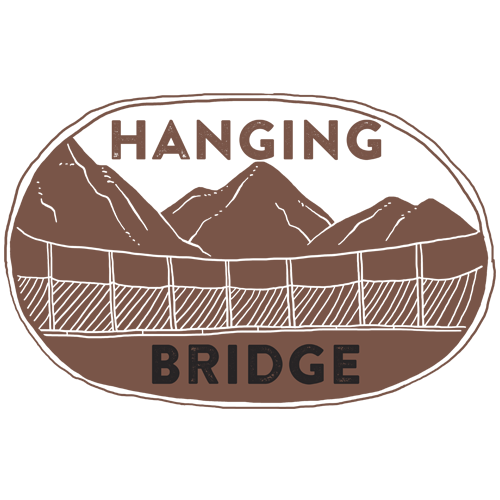 Below the bridge you will see lagoons and different tracks above the magnificent sky and an all around unobstructed view of nature’s glory. 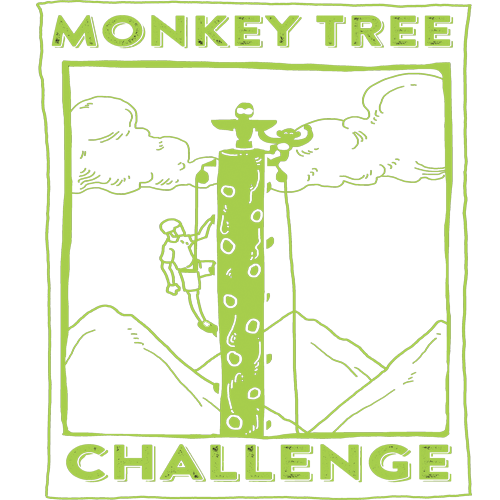 Climb 40 feet above the playground for an awesome aerial view of the resort on our Monkey Tree Challenge. 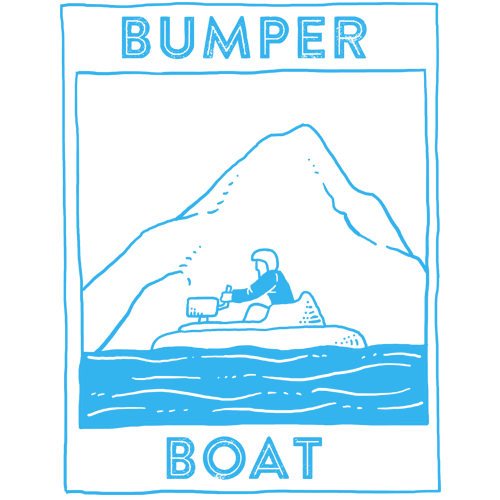 Challenge yourself and climb to the top to ring the bell then just let go and let the TRUEBLUE Auto-Belay system take you down safely. 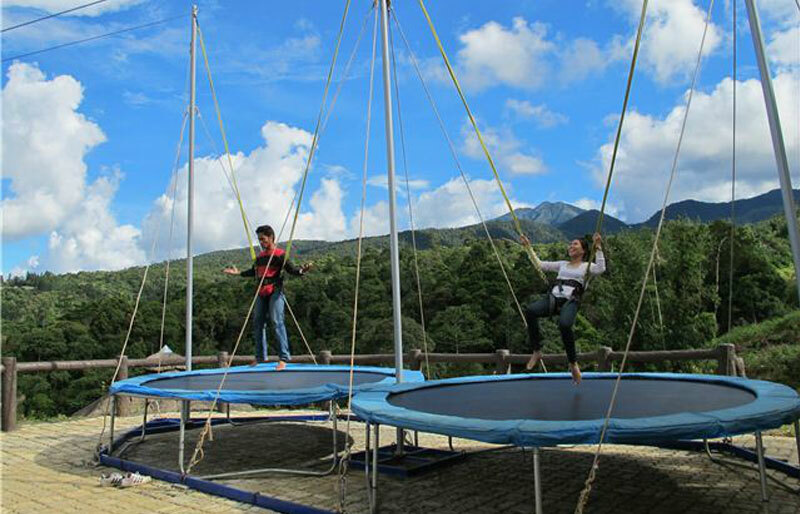 Enjoy the fun of a trampoline with the thrill of Bungee Jumping as you soar up in the air up to 20 feet high, strapped in a safety harness, in the midst of cool weather and a scenic view of the mountains. 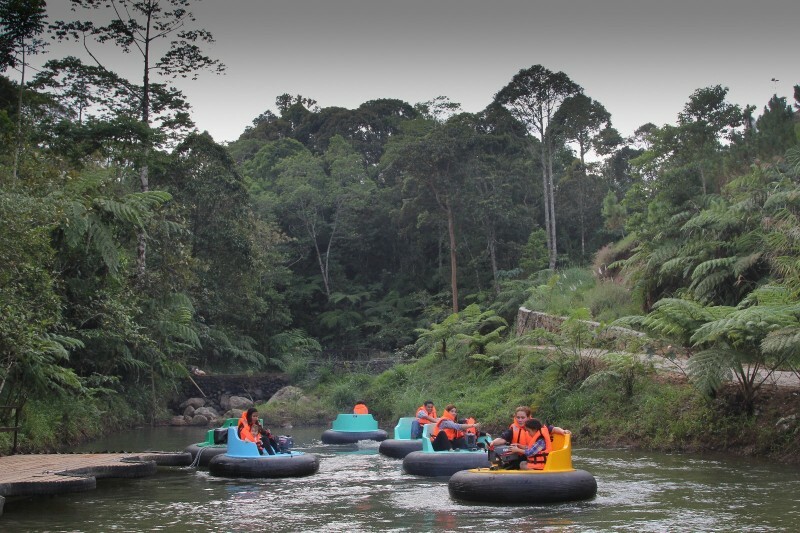 -- Select -- Forest Luge ATV and Buggy Trail Adventure Forest Putt Mini Golf Treetop Adventure Zorb Barrel Train Bumper Boat Hanging Bridge Monkey Tree Challenge Bungee Bounce & Net Trampoline Please select a tour.